A Harvard team figures it's just two years away from making viable embryos. 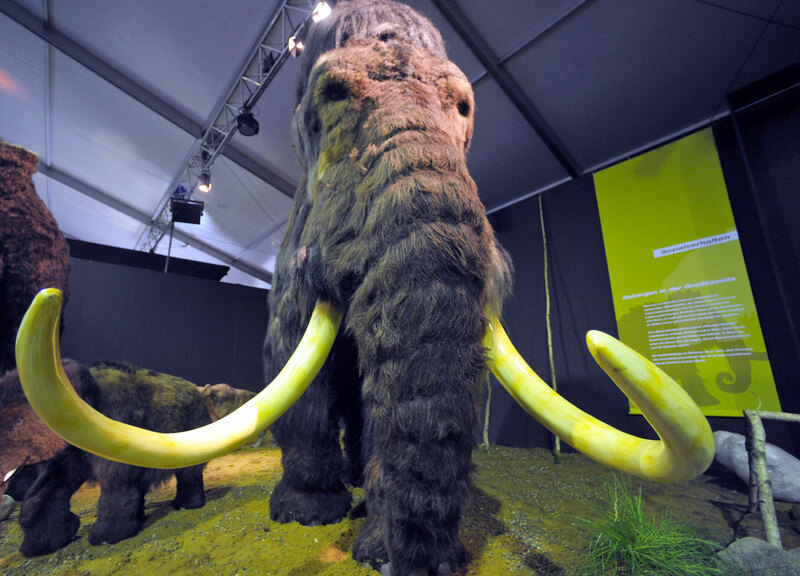 After successfully extracting sequenceable DNA from a pair of Woolly Mammoth carcasses pulled from Siberia's permafrost in 2014, a team of Harvard researchers announced on Thursday that they are tantalizing close to cloning the (currently) extinct pachyderms. The team made the announcement ahead of American Association for the Advancement of Science (AAAS) annual meeting this week. They estimate that they're just two years away from creating a viable hybrid embryo. That is, they take a modern day asian elephant embryo and splice in DNA from the Mammoth to get a fuzzy "mammophant," as the team calls it. "Our aim is to produce a hybrid elephant-mammoth embryo," Harvard Professor George Church told the Guardian. "Actually, it would be more like an elephant with a number of mammoth traits. We're not there yet, but it could happen in a couple of years." So far, the team hasn't progressed passed the cellular stage in creating one of these beasts though they have managed to splice in as many as 45 mammoth genes, up from their initial 15. Within a few years, the team expects to ramp their efforts up to the embryonic stage but it'll likely be quite a while until they can birth a living mammophant. Since the Asian elephant is itself endangered, this hybridizing technique could help preserve the species. At the same time, the Harvard team doesn't want to put one of these valuable animals at risk carrying a mammophant fetus to term, so they're looking into gestating it in an artificial womb. That's where the delay comes in. While Church's team has managed to grow a mouse in an artificial womb for ten days -- half its normal gestation period -- the technology for doing that for an elephant-scale animal likely won't be feasible for at least a decade. And even once that technology has matured, there are still a host of hand-wringing ethical arguments that will have to be sorted before Church's team gets the green light to proceed further.